Raised in the forests of southern Illinois, Benjamin started doing theatre at the age of six. After spending several post-high school years in Lima, Peru, he made Chicago his home where he recently graduated with his BFA in performance studies from UIC. 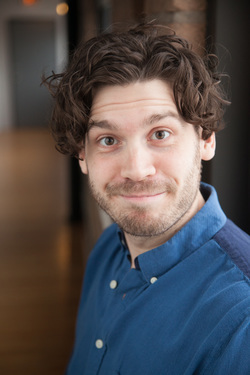 Benjamin participated in Stone Soup’s inaugural tour of Romeo and Juliet as the Nurse, as well as Puck in the following Midsummer Night’s Dream. Most recently he directed the Chicago reading of Julius Caesar. Other Chicago credits include Romeo and Horatio with Muse of Fire theatre, and collegiate projects under the direction of Yasen Peyankov, Derrick Sanders, Heidi Stillman, Rob Clare, Dado, and Timothy Douglas. As a set designer Benjamin created the space for THE STORM at Walkabout Theatre, and assisted Joey Wade on Grand Concourse at Steppenwolf. At UIC Benjamin designed the set for Ivanov and assisted John Musial on SNAFU. His lighting design credits include the operas Lucia Di Lammermoor and Abduction from Seraglio for the Southern Illinois Music Festival and Huckleberry Finn for the Stage Co. At UIC he credits Misalliance and assisted Cat Wilson on Passing Strange. Benjamin loves theatre, adores his buddy Bill, and couldn’t ask for a better company of artists of whom to be a part.